Some states offer mediation programs to homeowners who are in foreclosure. Luckily, Ohio is one of these states. The program brings the debtor and the creditor to the table with the goal of reaching an agreement with the help of a mediator. While a successful outcome is not guaranteed, there is the possibility of a foreclosure avoidance option, like a loan modification. Mediation has the potential of allowing homeowners to avoid foreclosure after falling behind on mortgage payments. It allows both parties to determine the possibility of a mutually accepted agreement, that is both commercially reasonable and sustainable. In mediation both parties explore options to avoid foreclosure, like a loan modification; a short sale; payment arrangements that would allow the debtor to catch up on missed payments; deed in lieu of foreclosure; or any other creative solution. It allows parties to create agreements that might be restricted by other legal remedies. However, in order for mediation to be successful, both parties must be active participants and disclose information prior to meeting, in order to avoid additional costly mediations. It is important to understand that attending a mediation will not stop the foreclosure case against you. The foreclosure case will continue until you and your creditor reach an agreement on how to pay the debt and the creditor dismisses the case. If you fail to take any action towards the foreclosure lawsuit, a default judgement will likely be filed against you and you could lose your home. If you have been served with legal documents, or fear it will occur soon, it would be wise to contact an attorney to help you sort through your options. There are numerous alternatives to foreclosure, with surrounding issues and intricate details. The best way to become totally informed about your options is to speak with an attorney that knows the ins and outs of the law. While mediation and loan modification may be a viable option for some people, it is not the best choice for everyone. Trying to save your home alone, without considering alternatives to loan modification can actually lead to more problems. 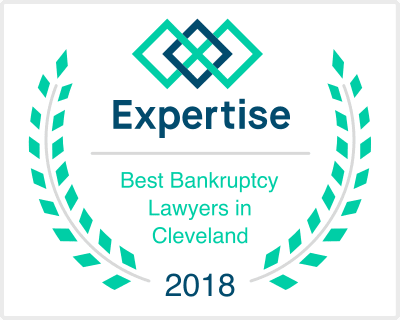 It is in your best interest to speak with an experienced bankruptcy attorney, like Irving Bergrin, and get an understanding on ways to combat a foreclosure. Every situation is different, but depending on your case a Chapter 13 bankruptcy could be a wiser way to save your home. Either way, if you are facing a foreclosure lawsuit and need legal defense to defend your interest, the office of Irving Bergrin is here for you. Call today to schedule a free consultation on how to get your financial situation back on track.